Aberdeen Parks and Rec | Poster | McQuillen Creative Group, Inc. 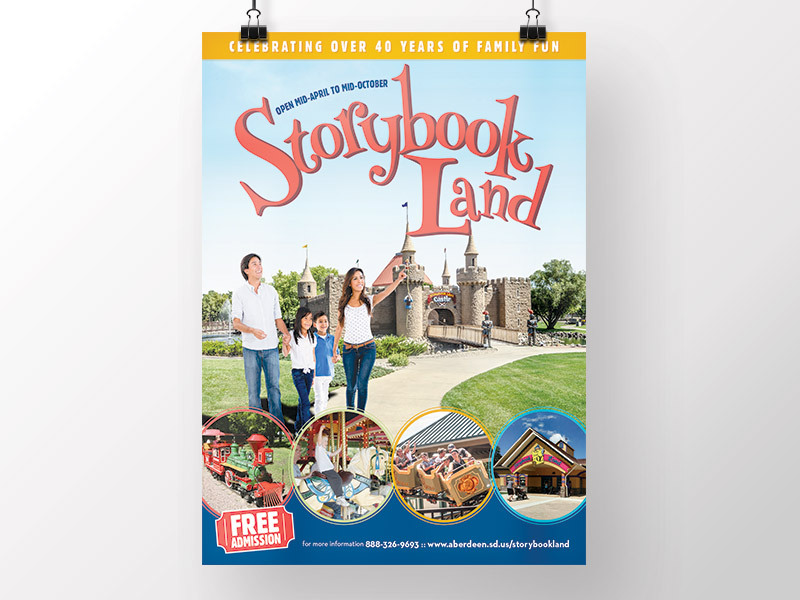 The Aberdeen Parks and Recreation Department contacted MCG to design a poster to promote Storybook Land to visitors to the state capitol in Pierre. We approached the design similar to a movie poster and utilized photography of the attractions at Storybook Land.